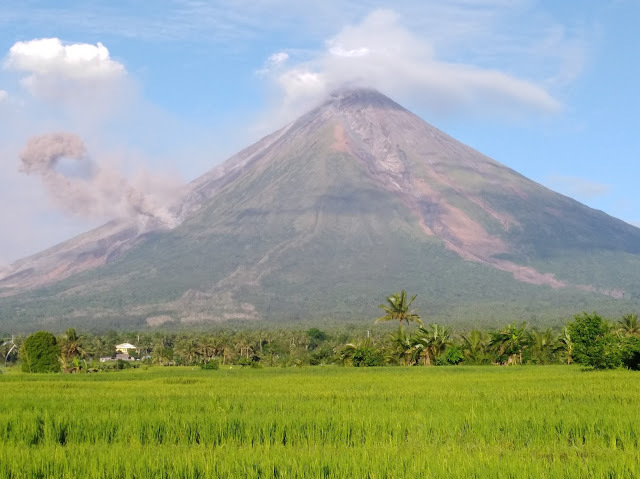 LEGAZPI CITY - PHIVOLCS Lignon Hill Observatory Resident Volcanologist said that notable changes were observed in Mayon Volcano today. The data gathered by team from Phivolcs Manila during the survey conducted will be subject for thorough studies and will be the basis for the decision whether to lower or not the alert level status of the restive Mayon Volcano. This was disclosed by Laguerta in an exclusive interview by DZGB News regarding the status of Mayon Volcano that has been silent for a couple of days after weeks of rumbling sounds and lava fountaining and ash plumes from the summit crater. Earlier, Albay Public Safety and Emergency Management Office (APSEMO) Chief Dr. Cedric Daep said that they are considering decampment of the displaced residents from the 8 kilometer extended danger zone (EDZ) depending on the result of the survey and analysis being conducted by the Phivolcs team.